We’re excited to share an exclusive behind the scenes chat with Tomorrowland director, Brad Bird. The creative genius shared his thoughts on Tomorrowland, IMAX, and his reaction to seeing the film. Check back as we add clips from our chat throughout the week! There’s no denying the Tomorrowland director has some awesome work under his belt - including three critically acclaimed animated features: The Iron Giant, The Incredibles and Ratatouille. Bird also directed Mission: Impossible - Ghost Protocol. The flick was the director’s first live-action film and went on to become the highest grossing thus far in the franchise. All in all, there’s simply no telling where this innovative story teller will be headed next. One thing is for sure, we’ll be keeping an eye out for what’s to come. 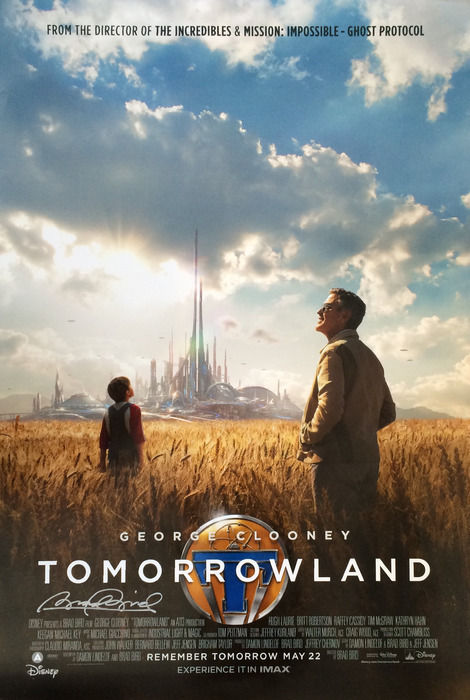 You can enter for a chance to win a Tomorrowland poster signed by Brad Bird along with four IMAX tickets! To enter, visit IMAX.com. In Two Words – What Would You Tell Your Future Self?